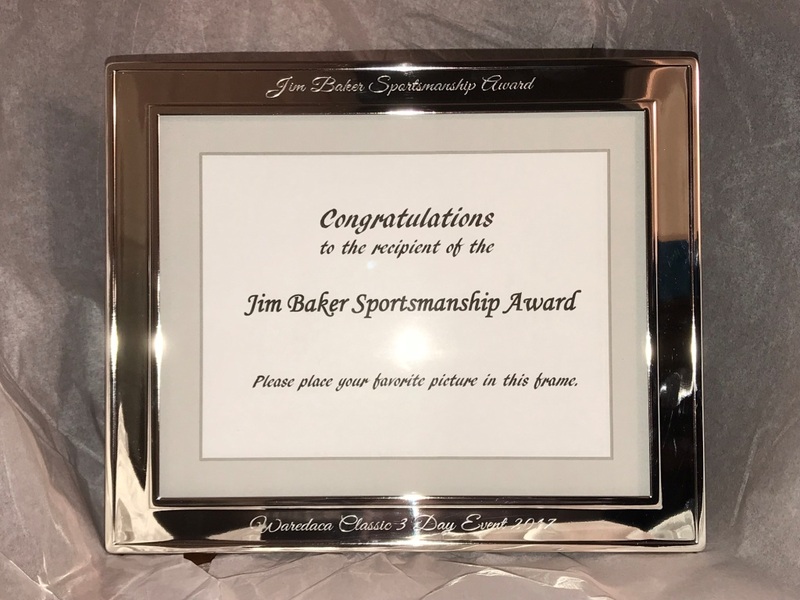 This year, Waredaca is honored to commemorate the life of Jim Baker, a longtime supporter, competitor and friend at the Waredaca 3 Day with the Jim Baker Sportsmanship Award. Two awards will be given, one to a Novice 3 Day competitor and one to a Training 3 Day competitor. Jim and Jim (Suzy’s husband, right). Special consideration will be given to an amateur rider who balances competition with a full-time job. “My sister, Sally, me and my brother Jim grew up riding together – started fox hunting then moved to the show ring and then onto eventing. Suzy and Jim at the 2013 Waredaca 3 Day. 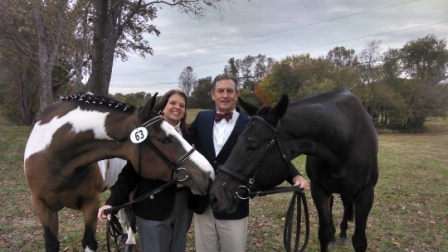 For “vacation” as families in the recent ~ 6+ years ….. we would plan to meet and compete at HT like the Waredaca 3 day or the VA HT where we would ride as a team in the team competitions…. Sally and Jim at Waredaca in 2012. – that year (2013) the electrical connection to the barn was in the parking area, every time someone drove over it, we lost power (lights) in the barn. It made braiding for the jog ups really tough !!! Brother Jim, an engineer, was constantly going out and fixing it. Finally he and husband Jim (retired Marine) made some sort of box to protect the connection so we didn’t lose power anymore……. 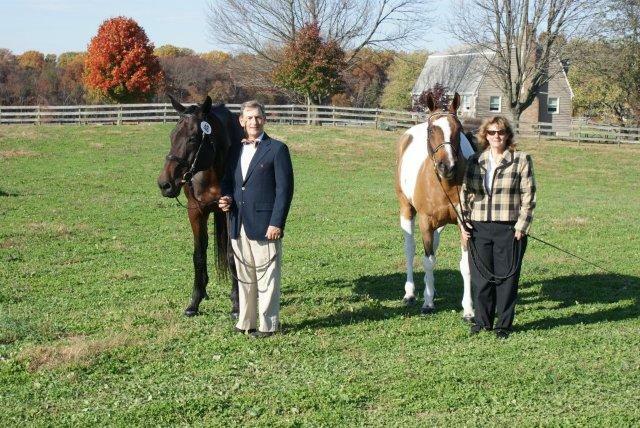 We would like to thank Suzy and Sally for allowing us the pleasure of honoring Jim as well as the opportunity to recognize competitors who exemplify superior horsemanship and sportsmanship. Winners will be presented with a framed recognition as well as a copy of Jack LeGoff’s book “Horses Came First, Second and Last,” upon its release.